Everyone is looking for that competitive edge. How do I become better? How do I improve? How do I reach my goals in ultimate? However, there are a few tips and training shifts that can make a big impact on an ultimate game. Most of these consist of aspects of growth that are unrealized or underdeveloped. Tapping into them, can give you an edge in your push to be a better ultimate player. The key is to not be afraid to try something new. Don’t be afraid to make a training shift. Here are five overlooked training shifts that can make you a better ultimate player. Agility is an underrated and undertrained part of ultimate conditioning. Muscle building and cardio conditioning are important, but ultimate is a game of changes in speed and direction. Especially for defense, footwork, cutting fundamentals, and the ability to accelerate and decelerate efficiently are crucial. SAQ (or speed, agility, and quickness) is a top skill in ultimate. Many people don’t train agility because they don’t have time or they simply don’t know how best to proceed. Tim Morrill, and other fitness gurus in the sport, have recognized the importance of agility and footwork and are incorporating it into all aspects of the workouts. That’s tip number one: you can train your body and muscle-memory for positive agility while doing fundamental exercises and workouts. Other easy ways to train agility include using an agility ladder, doing serpentine cone-cutting and footwork drills, shuffling or backwards movements, and working on cutting fundamentals. Adding in these exercises may seem basic for ultimate players who have been cutting and playing for a while, but your footwork is something that can always improve. Research suggestions for agility drills and advice from fitness professions like Morrill, Ren Caldwell (RenFitness), and Melissa Witmer (Ulty Results). Another thing that athletes rarely have the desire to do is prevent injuries (or rehab them). Injury-prevention days are days where you aren’t so much building muscles, but rather working on form, doing isometric exercises to protect and strengthen non-major muscle groups, and stretching or foam rolling to ease work. As with lifting and cardio training, make sure you know what you’re doing. If you’re coming back from a serious injury, seek medical advice and do your homework. Sometimes incorrect rehabilitation or over-stretching can make a problem worse. Regularly programming injury-prevention days is necessary. It’s a day to take care of your body by going to a trainer or physical therapist, carefully using prescribed stretches or icing to take care of muscles, or simply taking a day off for rest. Fit it into your schedule. One simple way is to have a day on the calendar each week that is set aside for stretching or yoga (something that will do the body good, provided you take it easy and build your abilities). Then, if injuries or difficulties occur, you can reach out to a teammate, coach, or professional to make adjustments and help stop chronic or acute pain from happening. For those of us with past injuries or chronic aches, this is the time to develop a plan to build strength and flexibility specifically to improve and prevent a similar injury from happening again. Physical therapy can work wonders, and can eventually be incorporated into daily preparation or rehabilitation, with the right guidance. A simple, yet fundamentally important step, to becoming a better athlete is to be on time. Better yet, be early. This shows dedication to teammates and coaches and allows you to put your best foot forward for yourself. For another, it offers the opportunity for mental preparation. Visualization, mental preparation, and goal-setting are other areas that athletes in a sport like ultimate tend to ignore. Yet, they can be critical. Something as easy as watching old ultimate videos to pump you up, or analyzing footage of you in a past game can be great. Take your efforts a step further—seek out the advice of sports psychologists, coaches, mentors, or others to set goals or to best prepare for practice. Many times this is an individual endeavor. Some people play best calm and relaxed, and may need meditation to center themselves, or alone time to plan. Others, need to get pumped up and moving to succeed. Regardless, find your own best practice to put yourself in the right mental space and frame of mind. That will always start, no matter what, with being on time. Build in that extra fifteen minutes into your routine to arrive early and be your best self. Setting goals, training, and mental preparation are much harder on your own than they are with a partner. Likewise, technical aspects of play are much easier to improve with someone observing you and holding you accountable. Ideally, every player has a pod group, a dedicated unit specifically to help you train or practice. Even one person can make the difference, if it is a training partner or a buddy on the team who can watch you on the field, encourage you, and call you out when you need it. Share workouts, plans, hopes, and fears with this person or group, and make it clear you want advice, critical feedback, and encouragement. There is no greater feeling when you are down in a game than having someone pick you up, someone who has been with you all season. Likewise, having someone who understands how to critique you, get you fired up, or push you to work out when you need it, is critical. Find that trust and make sure you are held accountable. You can do the same for them in return. Finally, training is useless without reflection. There are many forms reflection can take: journaling, logging workouts or goals online, or visualizing what you did that day to get better. Spend those five minutes and make them valuable and useful to you. Think about what you’ve done and what you are going to do to move forward. Jot down notes on adjustments that you feel you need to make in training. Finding the best training path is something that takes time, experimentation, and adjustment. Be the good scientist who critically thinks about whether or not something is working with your body. Be willing to try new methods, and don’t be afraid of canning old ones. 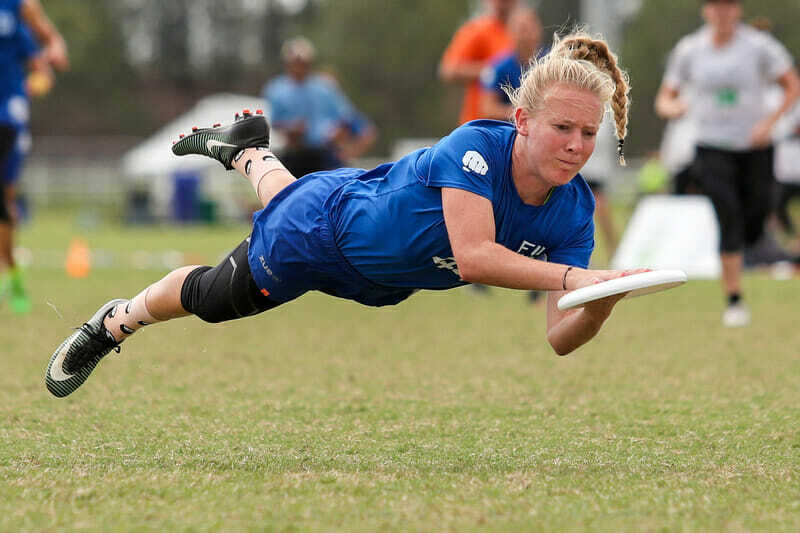 Comments on "Tuesday Tips: Five Overlooked Training Shifts, Presented By Spin Ultimate"